Dental emergencies can strike when you least expect it. Earlier this week, one of our patients had a severe toothache while flying home from a conference. Obviously he couldn’t run right into our offices at 10,000 feet. Steve could’ve just sat and suffered until he got home and take advantage of one of our same day appointments, but he didn’t have to – he could have taken an OTC painkiller to get some relief. In some cases, what you do in the first few hours of your dental emergency really matters. It didn’t for Steve, but if you’ve got a broken, chipped, or lost tooth, time is of of the essence. Check out this handy infographic to ensure you know exactly what to do the moment something happens. Act quickly, but don’t panic. 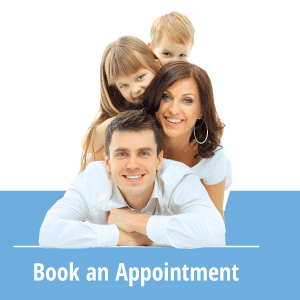 Call our office ASAP and schedule your same day appointment. We’re here to help! When you’ve got a dental emergency you should call your dentist right away. The following tips are very temporary measures that you can take until the dentist can see you. TOOTHACHES are probably the most common dental emergency. Toothaches are no laughing matter as they could indicate an exposed nerve or an abscess. You should pay particular attention to sudden increases in pain. -Take and OTC painkiller, but keep it away from the tooth to avoid additional pain. -We can sometimes call in antibiotics for you after hours to your local pharmacy to help with pain control. Chips and breaks in your teeth can lead to serious problems later. Don’t assume the damage is merely cosmetic. Rinse your mouth with warm salt water to relieve any pain. If a broken tooth is hurting and salt water won’t help relieve the pain you should come in asap. If a broken tooth is achy this may mean there is nerve exposure. If it’s a front tooth we usually try to repair this for our patients during the same-day they are assessed. We have also had patients who will use ortho wax to cover a broken portion of a molar if it becomes sharp to their tongue. Most commonly caused by trauma. If you are able to make it to the dentist fast enough the tooth can sometimes be saved. Never ignore a loose tooth as loose teeth are never normal in adults. Try to see the dentist within the hour. Rinse the tooth, but NEVER scrub it. The most common symptom of a lost filling is sensitivity to cold. The area depending on how it is fractured may be sharp to your tongue. You might also experience a little tooth pain temporarily. Use ortho wax is you have it on hand or come in right away and our dental assistants can place a temporary filling in till it can be repaired. If you lose a crown the tooth underneath will tend to be sensitive. Managing the pain and protecting the underlying tooth is going to be your first priority. Try you best to keep the crown on your tooth as this prevents the gums from growing onto the root of the tooth covering it. -Use a cotton swab to apply clove oil, available at any drugstore. Most people don’t know that dentist can help with these injuries. Dentists help take care of tongue, cheek, and lip injuries every week. -Rinse you mouth with salt water.